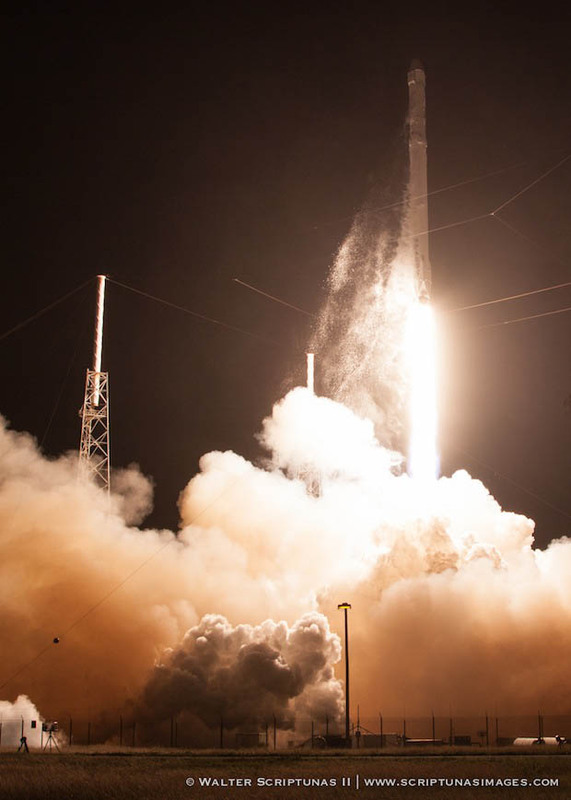 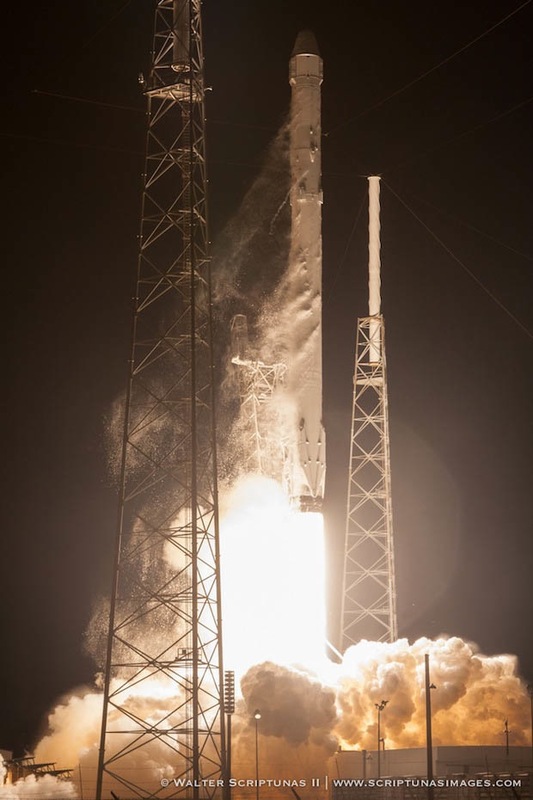 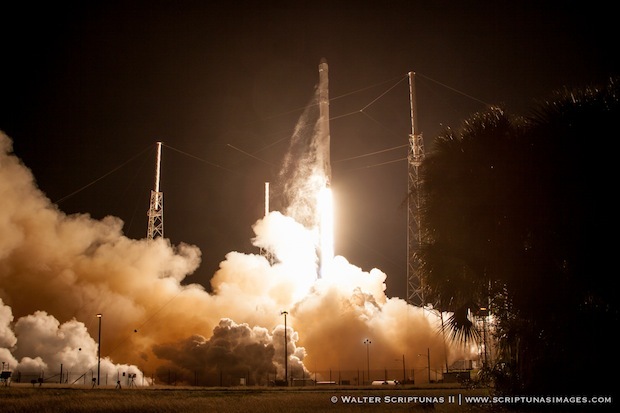 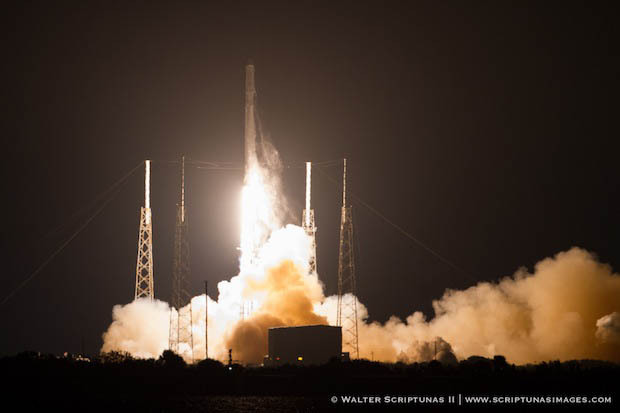 Crowned with a commercial cargo capsule with 5,100 pounds of provisions and experiments, SpaceX’s Falcon 9 rocket took off from Cape Canaveral on Saturday, sending the Dragon supply ship on a two-day trek to the International Space Station. 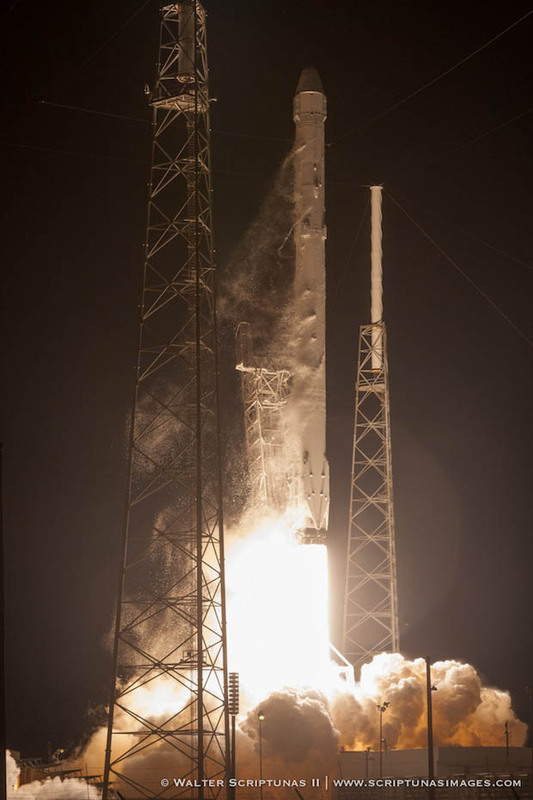 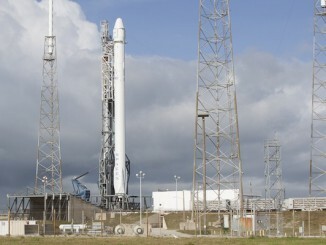 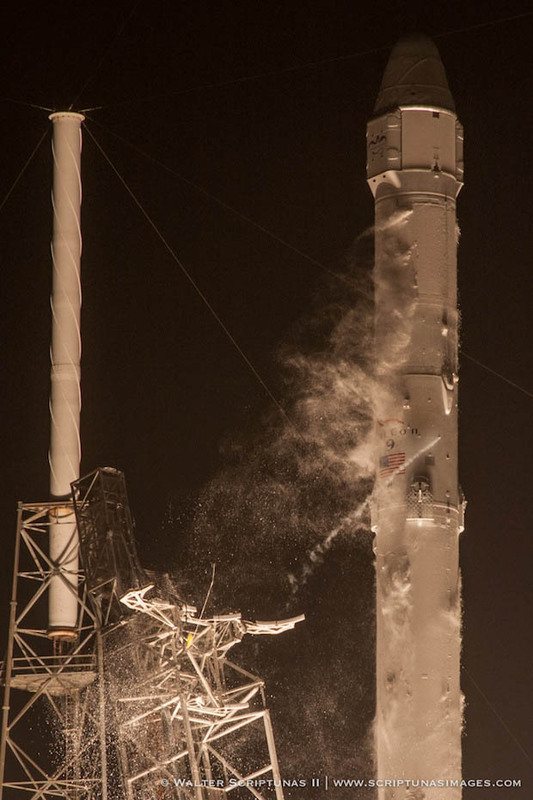 The 208-foot-tall booster, burning a mixture of kerosene and liquid oxygen, climbed into space from SpaceX’s Complex 40 launch pad at Cape Canaveral Air Force Station, Fla. Liftoff occurred at 4:47 a.m. EST (0947 GMT). 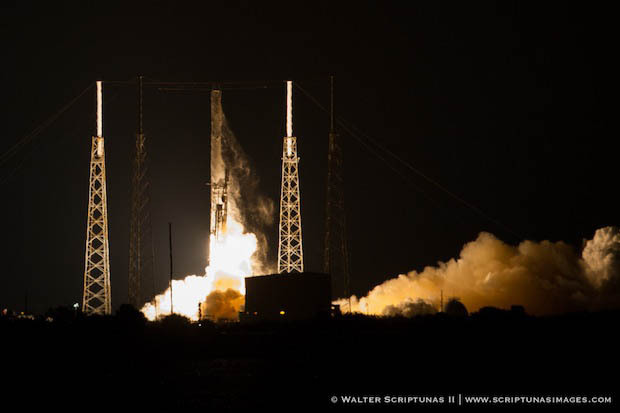 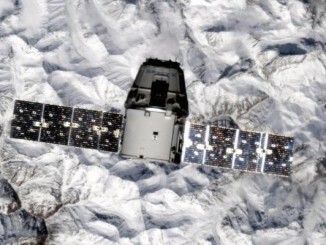 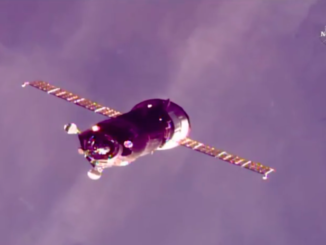 The successful launch put the Dragon spacecraft in an on-target orbit, setting the stage for its rendezvous with the space station Monday. 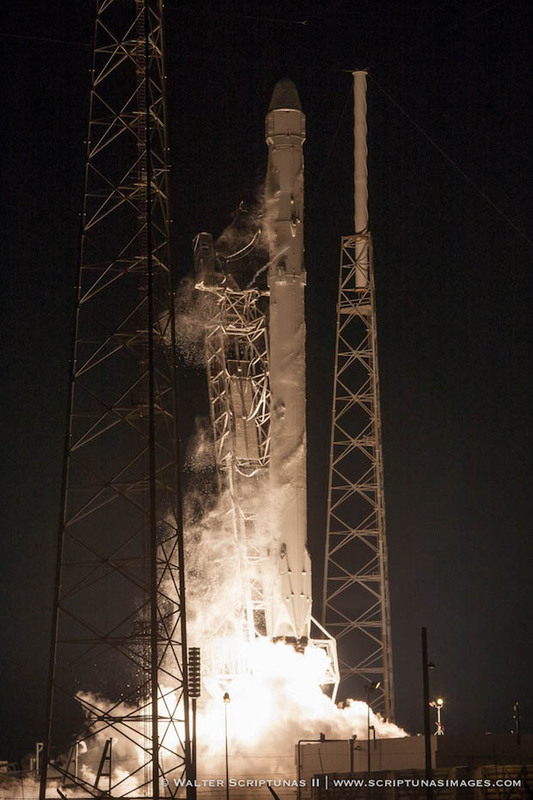 A secondary objective of Saturday’s launch was a major test of the Falcon 9 rocket’s flyback and recovery maneuver, an unprecedented experiment that aimed to land the launcher’s first stage on a barge in the Atlantic Ocean about 200 miles east of Jacksonville, Fla. 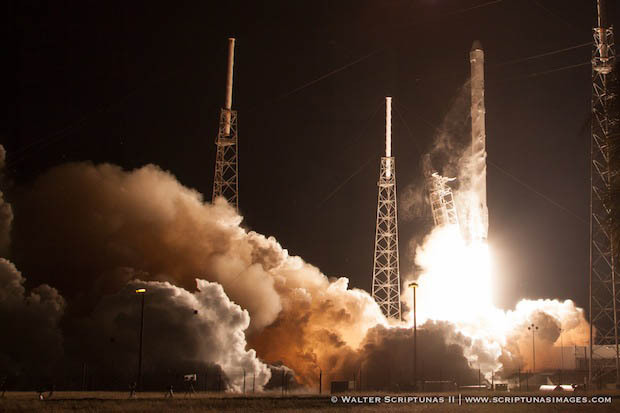 The booster completed the first phase of the flyback experiment as designed, navigating to the unmanned landing ship after a supersonic re-entry back into the atmosphere, but the rocket failed to achieve a soft landing on the platform. 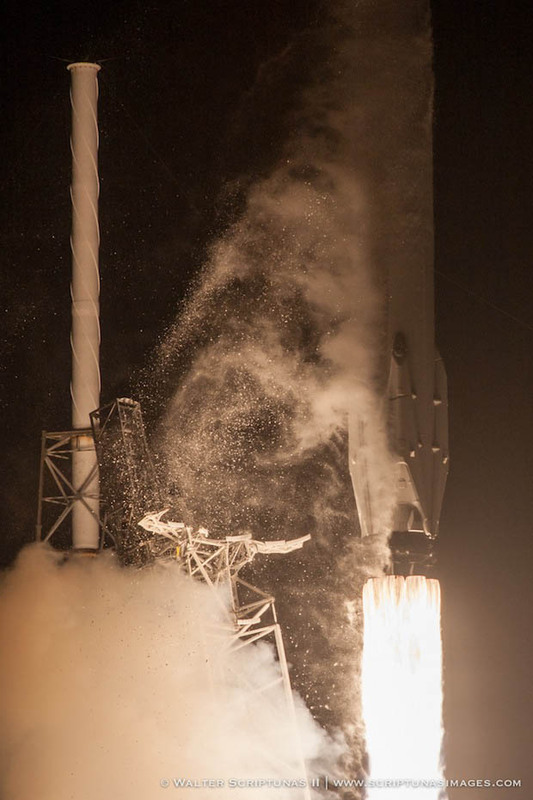 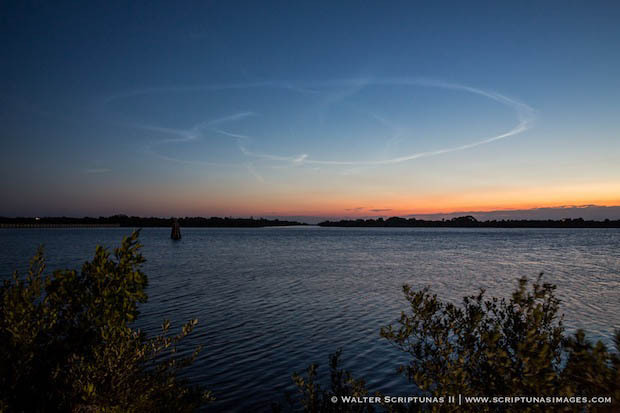 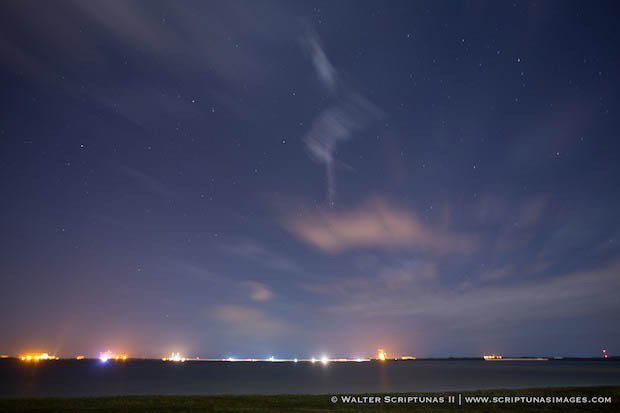 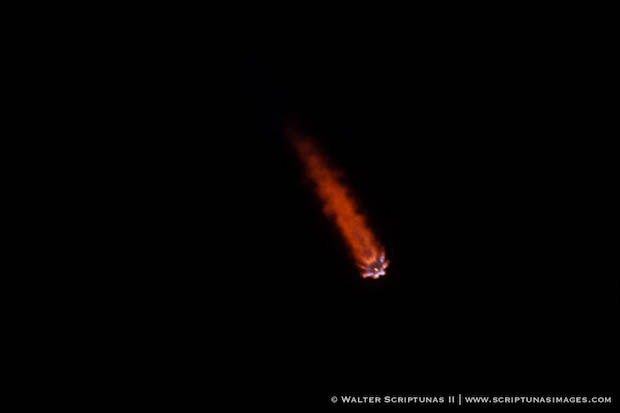 The photos below are from remote cameras at the Falcon 9 launch and a nearby viewing site, showing the rocket’s liftoff and a glimpse of the first stage’s “boost back” maneuver to begin its controlled descent back to Earth.